Kane Kalas is leading the remaining 34 players at the WPT Borgata poker open, which is currently in process at Borgata Hotel Casino &Spa. Kalas with 3,276,000 chips is leading the rest of the players/survivors. He is not new to the game and has done quite well in previous years. 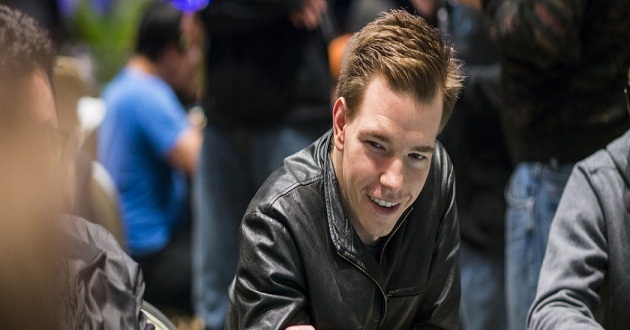 Kalas was a runner up at last year at the same tournament and earned more than $500,000. He lost the heads up round against Darren Elias. Some other players qualified for the final table with their stacks are Rafael Yaralieyev (1,937,000), David Paredes with 2,500,000 stacks (David is a Borgata open champion for season XIV), Denis Gnidish (1,716,000). Amir Babakhani, Aaron Mermelstein, Mukul Pahuja and Rex Clinkscales are also qualified to play the final table and are eying to win the tile of the championship. This was $3,500 buy in No Limit Hold’em Evenet attracted 1,171 players and generated a cash prize pool of $3,748,371. Top 110 players will be paid out and will take home some amount of money. Cong Pham booked for 37th position with an amount $12,744, Kunal Patel secured 40th place with an amount $12,744,Jared Griener booked for 50th place with an amount $10,870,Michael Gagliano got 67th place with an amount $8,734,Andrew Ahn is at 75th spot with an amount 8,059,Mark Wahba was at 100th place and he took home $7,047,Scott Blackman is at 105th position and collected $7,047,whereas Alexey Apakelov was at 110th place and takes down $7,047. Keith Morrow is at 7th spot with an amount $131,193,Jeffrey Yanchek(8th) with $97,458,Michael Judge(9th) with $68,783 and 10th spot belongs to a player named Amir Babakhani and he took down his share of $44,793. 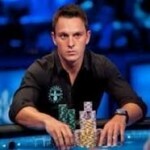 This is one of the prestigious poker festival hosted by the world poker tour and is very popular among players. If you are also looking to play online poker then you should check out realpokeronline.co.uk to get best of the poker deals and welcome bonuses.